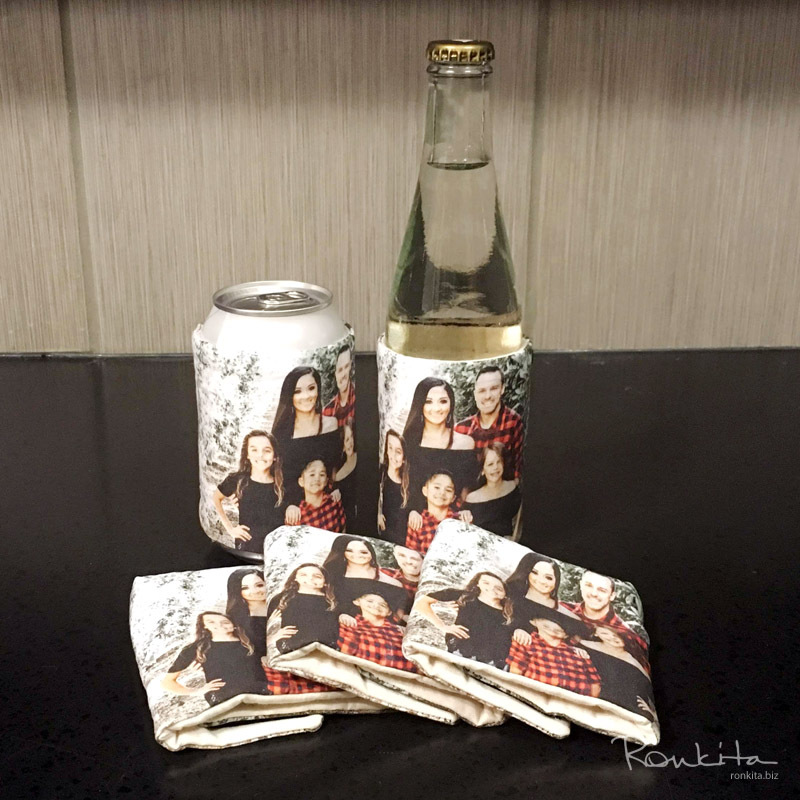 At the beginning of the year we ran a giveaway contest for a set of custom drink koozies. 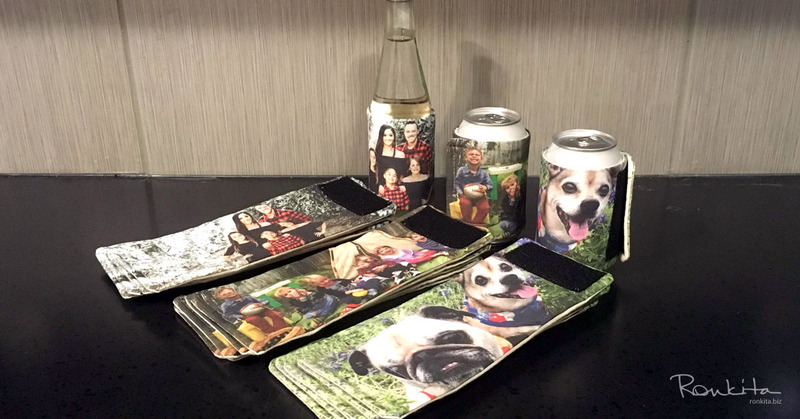 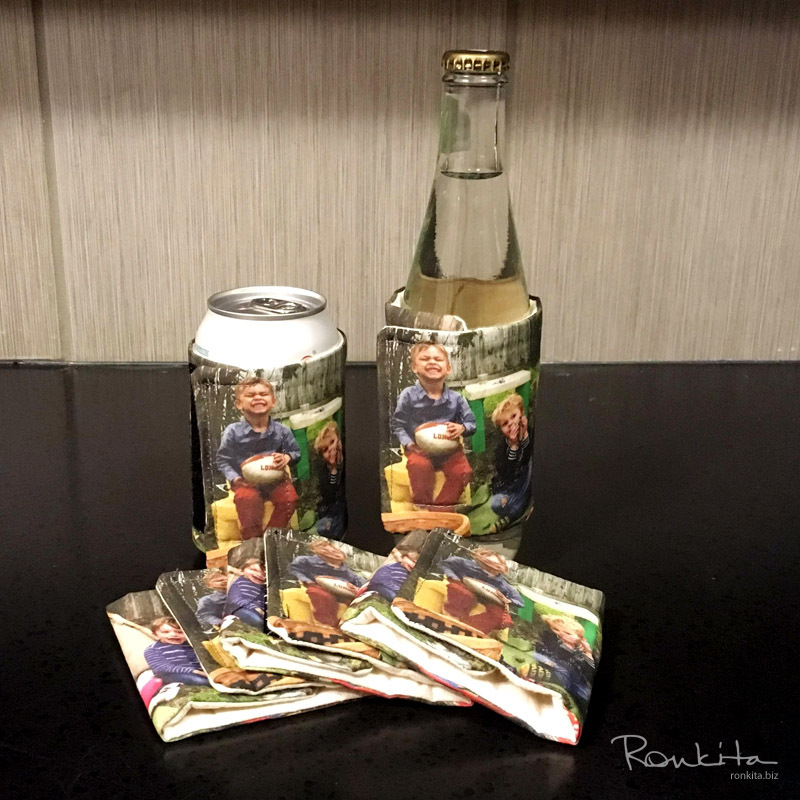 The koozies are personalized for the winners using custom designed fabric made from images that they provided. 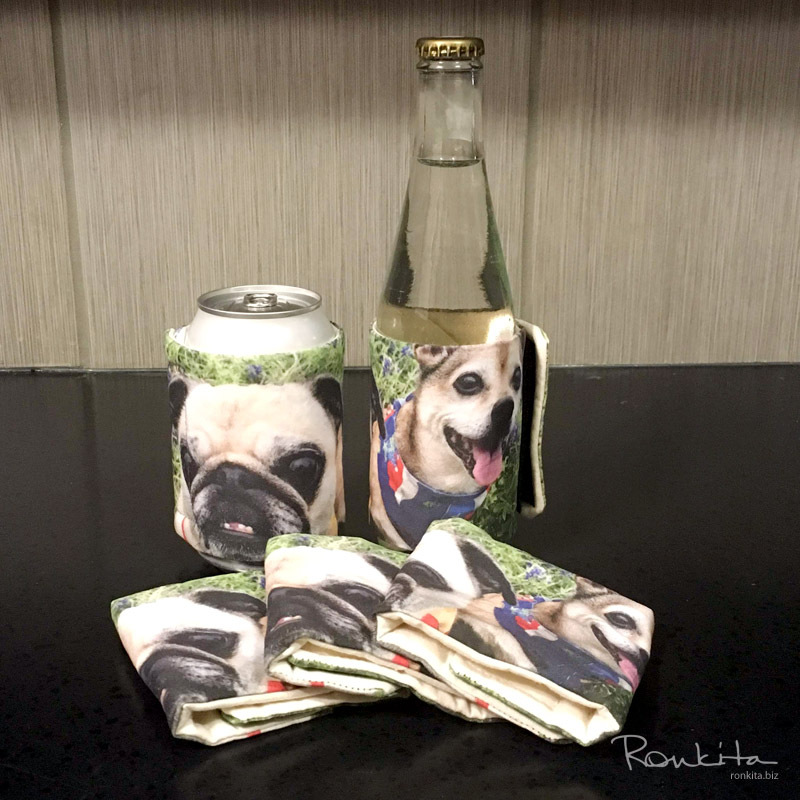 Custom drink cozies like these can be made for any event or occasion, as gifts, or to add a personal touch to your table settings.